The Telecom Regulatory Authority of India’s (TRAI) consultation paper seeks to kick off a discussion on creating a regulatory framework for over-the-top (OTT) communication service providers such as Skype, WhatsApp, Viber and home-grown messaging apps like Hike. 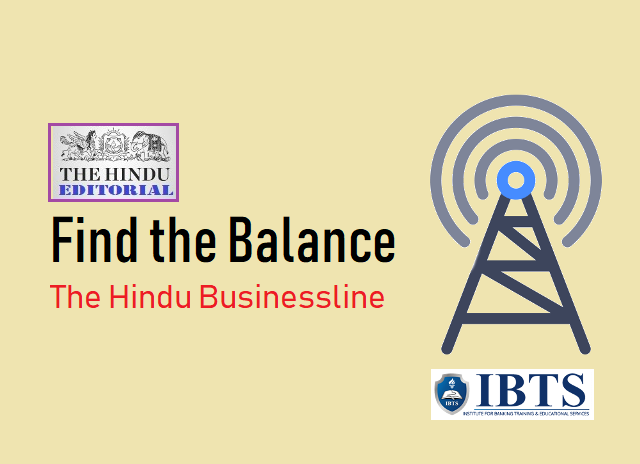 It looks to balance the economic interests of the telecom service providers (TSPs) who have created the infrastructure, the OTT services and consumers. There is no denying that OTT services have become the default choice for communication for millions of people not only in India but the world over. However, the growth of these services has disrupted the business models of TSPs; they have lost their traditional sources of revenue from voice calls and text messages, and need to now rely on data. But while technological advancements often disrupt business models, curbing innovation cannot be the solution. Rather, smart businesses embrace technology changes and adapt their revenue models. That said, the angst of TSPs is that they make all the investment in infrastructure and maintain it not just to retain consumers but also to meet the regulatory requirement that stipulate minimum standards in data speed. TSPs and the OTT services have a symbiotic relationship of sorts. The quality of OTT services depends on the quality of telecom infrastructure. So does the quality of various other data-based services such as video streaming that are increasingly being bundled as packages by telecom service providers. TSPs have to comply with various licensing conditions, regulatory obligations and statutory requirements, pay license fee and taxes and preserve user data in the interest of national security. In comparison, the OTT players are not subject to any licensing or taxes, and can exercise self-regulation. They are not obligated yet to maintain users’ data in the users’ home country and investigative and law enforcement agencies are usually unable to access it. OTTs also have the advantage of providing encrypted services to offer more secure communication but has been misused to wreak havoc in nations and spread misinformation. Some of that needs to change, but in creating the regulatory framework for OTTs, TRAI must ensure innovation and free speech are not compromised. One approach being considered in many nations, where the OTT players provide services that are identical or similar to those provided by telecom service providers, is to subject them to licensing and registration obligations. The EU has proposed a mix of deregulation and application of a limited set of rules to OTT services. The French telecom regulator does not regulate OTTs but treats all voice over internet protocol (VoIP) providers who connect to public switched telephone networks as equivalent to traditional TSPs. A white paper by German authorities has proposed measures such as subjecting OTTs to the same rules of consumer protection, data protection and security as TSPs. The TRAI should be in step with major democracies in this regard. Use in a Sentence: Some people are not willing to embrace new technologies. a. interrupt (an event, activity, or process) by causing a disturbance or problem. b. drastically alter or destroy the structure of. Use in a Sentence: He refuse to hear anything that might disrupt his plans. a. a feeling of deep anxiety or dread, typically an unfocused one about the human condition or the state of the world in general. b. a feeling of persistent worry about something trivial. Use in a Sentence: Indulging in angst about the unfairness of it all will just make the problem worse. Use in a Sentence: We were obligated to attend the opening ceremony. a. act in accordance with a wish or command. b. (of an article) meet specified standards. Use in a Sentence: When requested to leave, they refused to comply. Meaning: a check or restraint on something. Use in a Sentence: We are trying to keep a curb on their activities. Use in a Sentence: The collision reduced the car to a useless wreck. a. demand or specify (a requirement), typically as part of a bargain or agreement. Use in a Sentence: The company fails to pay on the date stipulated in the contract. a. become very angry; suddenly start an argument or fight. Use in a Sentence: It might be a good idea to kick off with a few folk songs. Use in a Sentence: The doctors want stricter enforcement of existing laws. Exercise 2: Match the column.